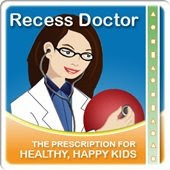 Peaceful Playgrounds | Recess Doctor Blog: You've heard of the Palm Beach Diet? How about the city diet? You've heard of the Palm Beach Diet? How about the city diet? Somerville, Massachusetts went on a diet. The whole city. In an effort to curb childhood obesity schools cooked with fresh foods, offered fruits and vegetables, and adopted a new health curriculum. Restaurants in the town changed their portion sizes and switched to low-fat dairy products and offered fruit and veggies as side dishes. Program leaders taught yoga, soccer and dance. Then researchers met with parents, teachers and school officials to explain the importance of avoiding meals high in fat and sugar and encouraging children to be active. Researchers also sent newsletters to parents and other members of the community each month offering health tips and coupons for healthy foods and updates on the project. Somerville school nurses were trained to keep track of students’ weight gain and counsel families with a child at risk of becoming overweight. 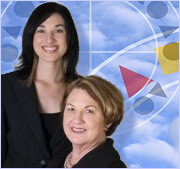 The study was funded with a $1.5 million grant from the U.S. Centers for Disease Control and Prevention. Click for more information on the Somerville Play Hard, Eat Smart project.